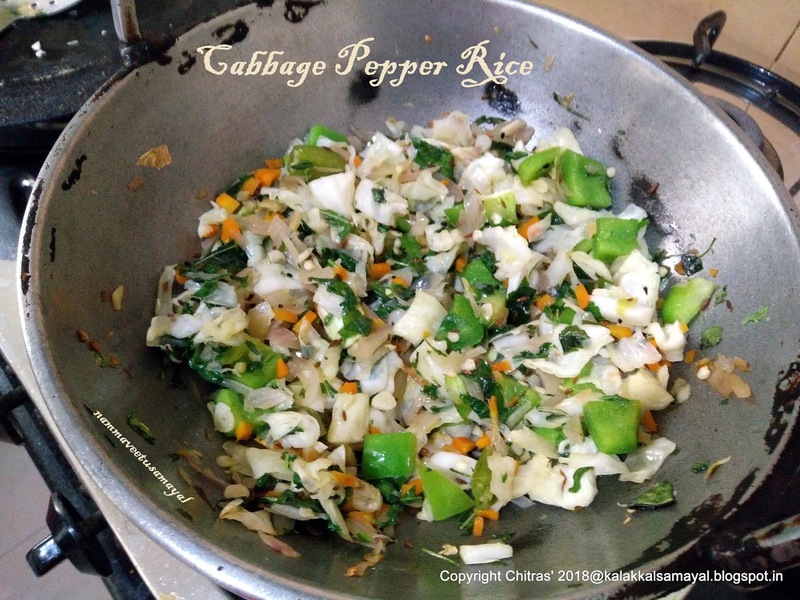 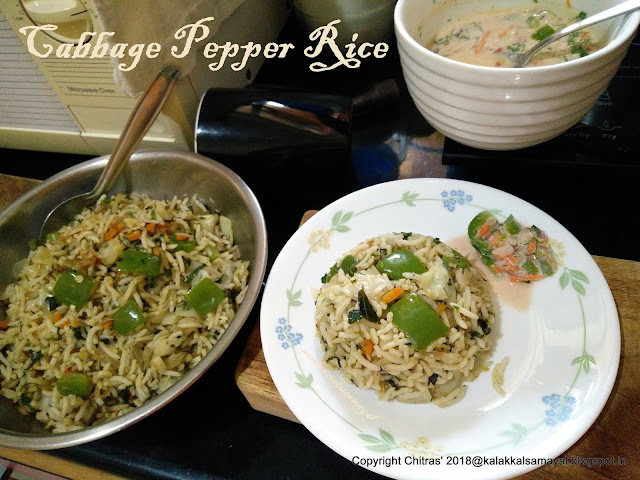 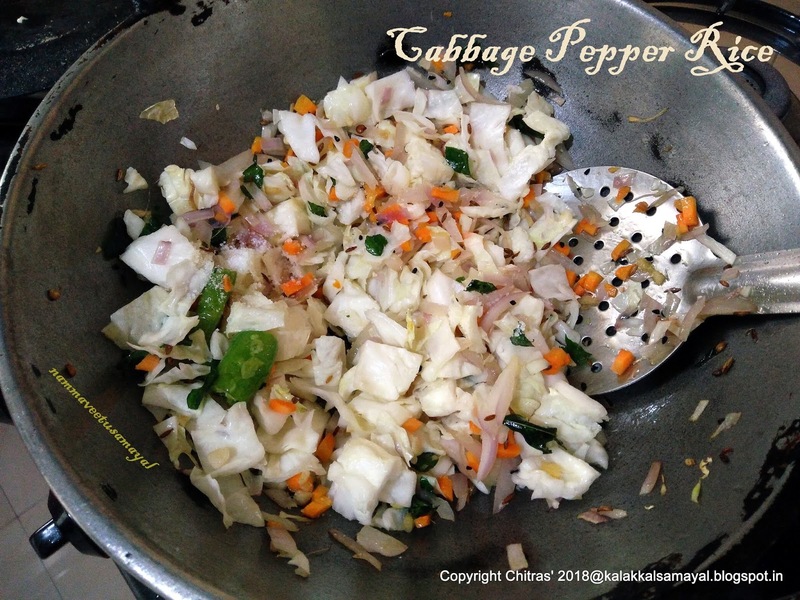 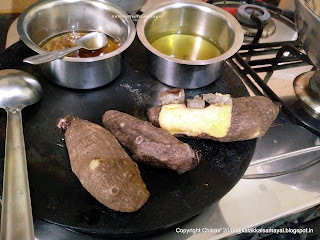 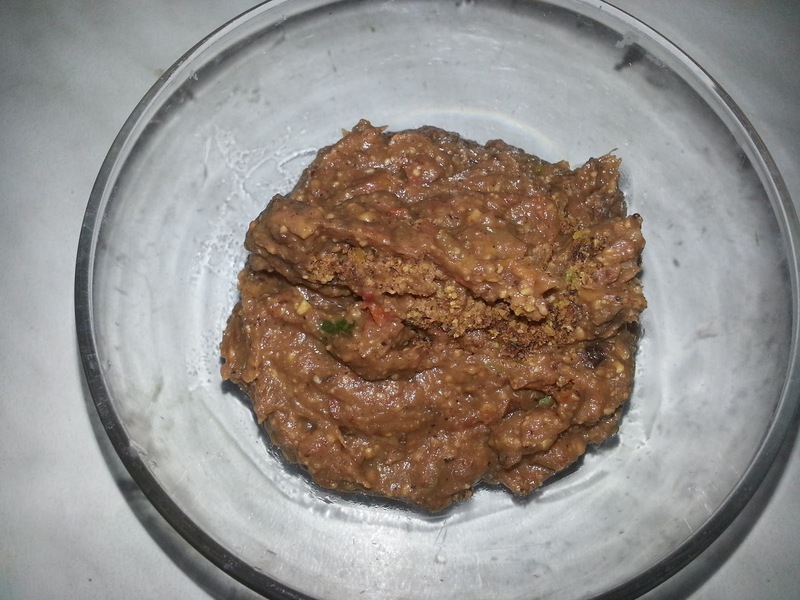 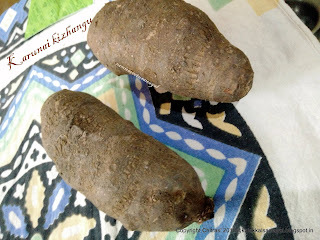 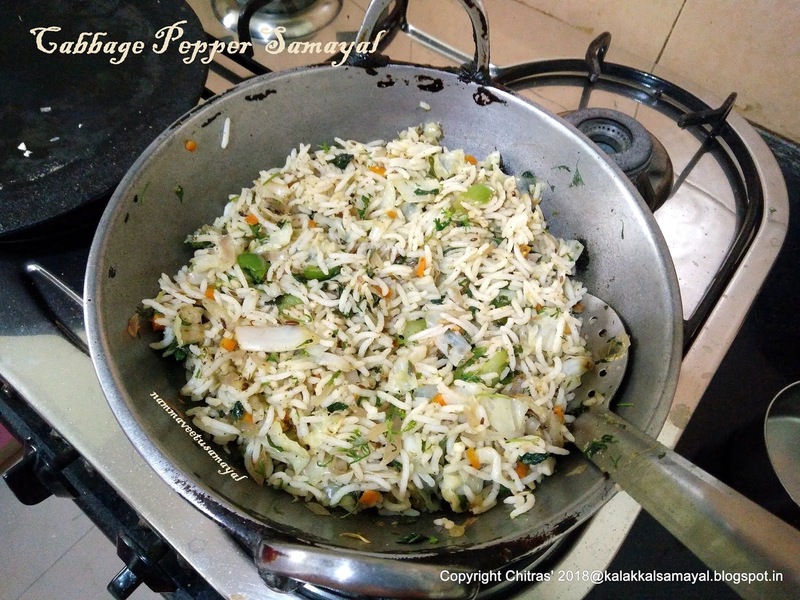 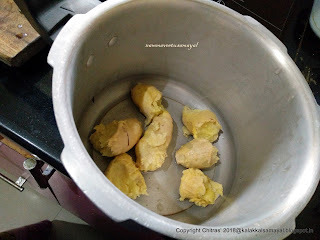 #CabbagePepperRice : I used to prepare #koottu or #Poriyal from #Cabbage. Recently I tried a mixed rice using cabbage. The taste of the rice was too good and can be included in our lunch box menu. Take 1/4 cup of water in a pressure cooker. 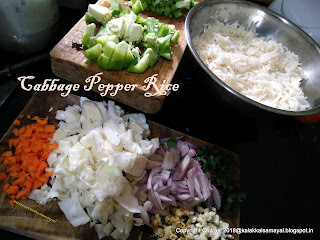 Add chopped cabbage, carrot and 1/4 Tsp of salt. Close the lid with weight and cook for 1 whistle. Immediately release pressure and strain using a colander. 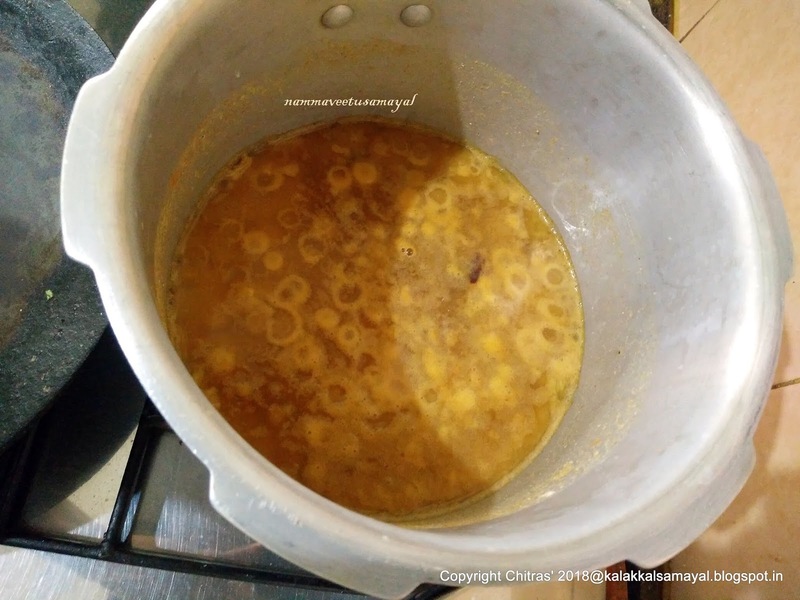 Heat a kadai with 3 Tsp of oil on a stove over medium flame. Crackle cumin seeds and then add green chilly, sliced onion & a pinch of salt. Now add capsicum and saute for 2 minutes. 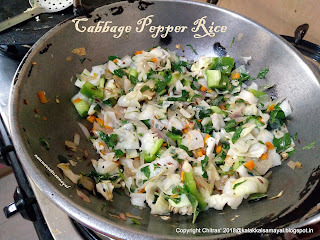 After that add boiled cabbage & crushed ginger. 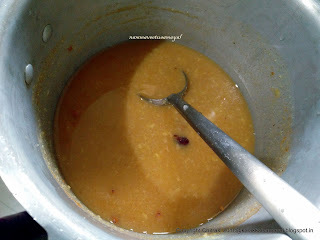 Now add 1 Tsp of salt and cumin powder. Mix well and then add rice, ghee & pepper powder. 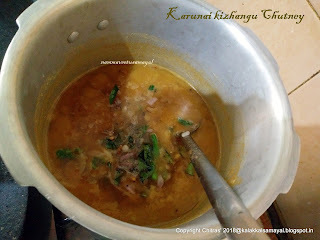 Transfer into a serving bowl and top it with coriander leaves. 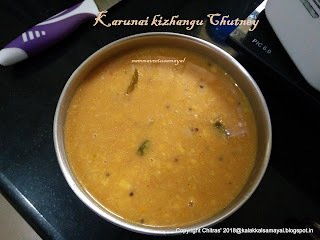 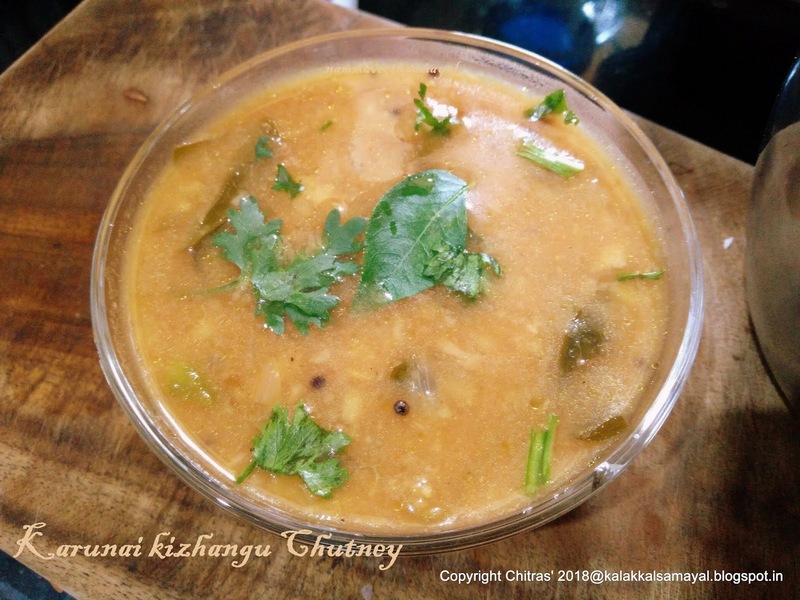 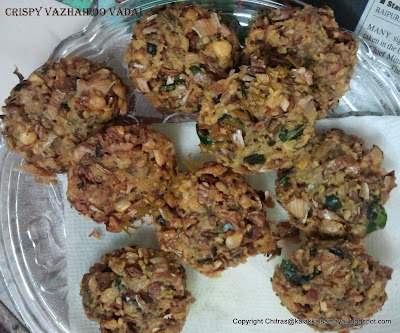 Enjoy with Thayir pachadi or any kurma of your choice. 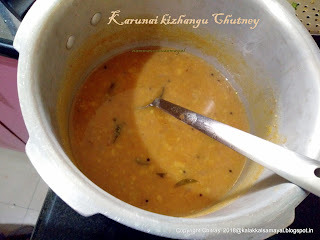 It can be packed for afternoon lunch in a tiffin box after cooling it down to room temperature.